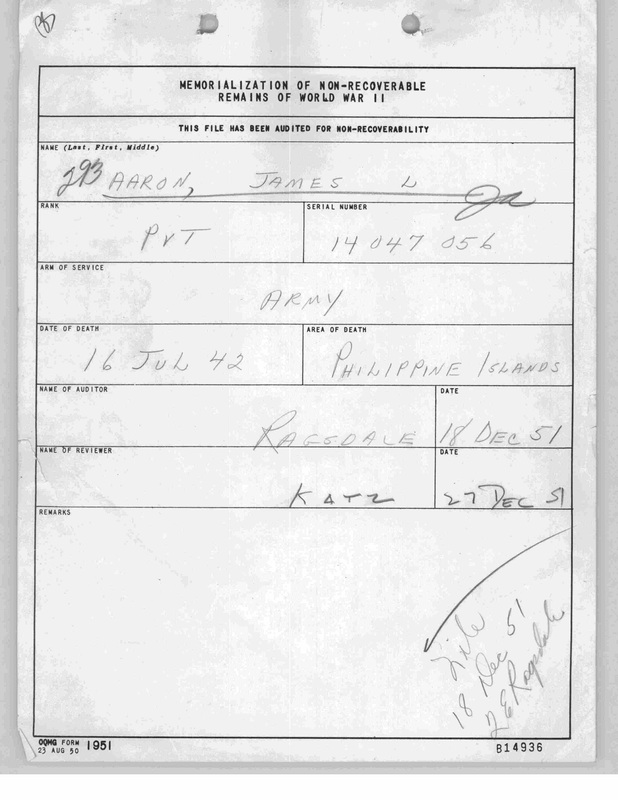 Private James L. Aaron served in the 31st Infantry Regiment in the Philippines following the bombing of Manila and invasion by the Empire of Japan. The unit fought until it surrendered on 9 April 1942. 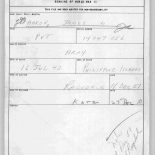 He died of cerebral malaria while interned at the Cabanatuan POW camp, Nueva, Ecija,Luzon, Philippines. Memorialized at the Manila American Cemetery in Fort Bonifacio, Manila, Philippines.